"The military screening plan came together after the Obama administration determined that the training program for the Syrians would not be subject to what are known as the Leahy laws, which typically govern U.S. security assistance to foreign forces." "Officials said the screening program, developed chiefly by the U.S. Central Command, will rely on what was described as a “common core” of screening protocols, including running trainees’ names through U.S. and foreign intelligence databases, collecting biometric data and, when possible, seeking information from fighters’ home communities. Rebel commanders will be subject to additional screening." The Washington Post markets this as "dealing with Arab violence"
"Anyone convicted of throwing Molotov cocktails or fireworks will have their citizenship or residency automatically revoked...Anyone who incites terror attacks, throws stones during demonstrations or illegal gatherings or waves an enemy flag, including the Palestinian Authority flag, will be immediately arrested and will automatically lose their state health and social security benefits and the right to hold a driver’s license for 10 years.". This is like describing anti-Semitic laws as "dealing with Jewish violence". If you read the rule of the judge about Mubarak he basically says that Mubarak in his last years only was guilty of slowness in decision making. Kid you not. 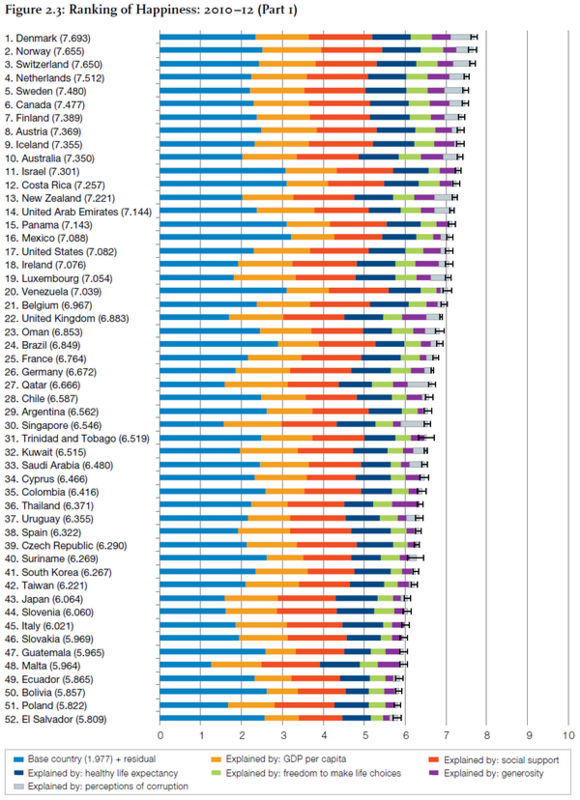 The US is ranked number 46, and I can live with that. 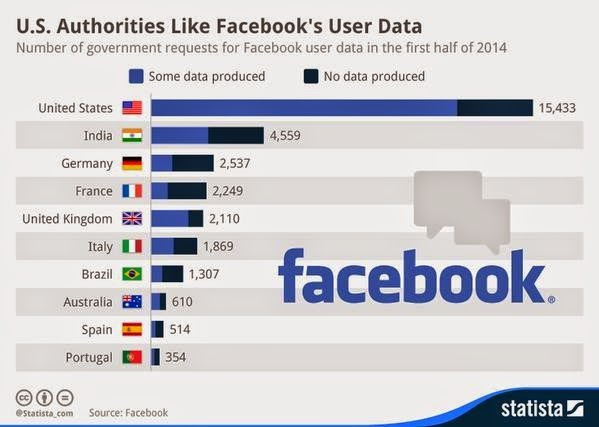 But they list Kuwait, Qatar, and UAE ahead of Tunisia in press freedoms. This in itself is enough to discredit the whole survey. I don't think that it is unreasonable to resume discussion of the succession of Jamal Mubarak. Muhammad Ra`ad and other high officials of Hizbullah accompanied Nuri Al-Maliki (the puppet of George W. Bush and the American occupation) to Resistance Museum in Mlita. What is the connection of Maliki to Resistance? For Hizbullah, nothing except that he is a Shi`ite. "But Leahy vetting, which relies on intelligence and information such as accounts from civil society or media". So you rely on accounts of Syrian civil society to decide whether a person is "clean" or not? Did the New York Times seem to imply that promoting cultural diversity in Canada was responsible for this sexual predator? Notice how much they dwelled about his Iranian roots. "In a country that promotes multicultural diversity". "GAZIANTEP, Turkey — Seventy-two Syrian rebel groups on Saturday announced a new coalition to battle the government of President Bashar Assad. But hopes that moderate rebels would dominate the meeting were dashed when extremists gained more of the 17 executive positions than had been expected." "Sharan Burrow, the ITUC’s general secretary, said: “These Gulf states, among the wealthiest in the world, are developing their economies on the basis of the kafala system, which is modern-day slavery.You are owned by an employer; you have no right of movement from job to job; there’s no serious compliance [with] the fundamental ILO articles of workers’ rights; and you’re not free to leave when the job becomes unbearable or the living conditions are such that you can no longer live with dignity.This must end.” "
"Getting Turkey to close its 610-mile frontier with Syria will take intense political pressure on a powerful and uncooperative Turkish state, but it is only by these means that potential terrorists can be impeded. Becoming dangerously "radicalised" in effect means adopting a violent sectarian anti-Shia ideology akin to Saudi Wahhabism. Stopping this happening means confronting Saudi Arabia, Kuwait and UAE over their support and funding for Sunni fundamentalism." I don't know who Danny Hakim is but he wrote this odd promotional propaganda piece about a Jordanian comic book artist named Suleiman Bakhit (his father was prime minister and ambassador to Israel and his latter post may have endeared him to the editors of the Times). He makes unsubstantiated claims. Let me first say that I have been talking to Jordanians in the last 24 hours and asking about him and not a single one has ever heard of him. I asked Arabs and no one knew who he was. I used googled and could not find anything except one article from several years ago in Al-Akhbar, of all places. He talks about over a million copy "sold" of his comic book when in reality the regime newspaper gave it out for free as part of the daily paper for a while. Yet, still no one knows who he is and no one ever heard of him. This is something common in US propaganda: they tell Arabs that there is one among you who is very famous, and Arabs don't know who that person is but they make that person famous by providing Western media coverage to convince Arabs that that person is famous. But I watched his presentation in Oslo (which probably made him known to the NYT) and it was most pathetic. First, there is no evidence whatsoever that he was attacked "by extremists" in Jordan. We would have known about that had it been true. And extremists were bothered by his work when no one knows of his work? How suspicious is that. He also claims that he was beaten in Minnesota by a group of Americans after Sep. 11. Minnesota is a friendly state and I also could not find evidence that he was attacked there. So the story gets more and more supicious. And his presentation about shame in Arab culture is drawn from racist books like the Arab Mind. In other word, the US or its media want to make that guy known among Arabs. I can officially report to you that no one knows who he is no one is aware of his work. Also, he claims that he wants to provide favorable views of women by drawing characters of female soldiers (Americans in Jordan?) who fight terrorists. I wrote about this in Arabic on Facebook and told Arabs: how can Arabs be blamed for being conspiracy-minded? PS Notice that he gives the same answers in the same words in the interview in the Times as he used in his presentation on Youtube. He made the same jokes even. PPS Only a Western journalist and a government official in Washington, DC can believe that fighting terrorism requires a comic book with new heroes to replace "Bin Laden" (assuming that agree with the thesis of Bakhit that Arab youth consider Bin Laden and Zarqawi a "hero", which is not the case). The tyrant of Bahrain was the first Arab tyrant to call Mubarak and extend congratulations on his exoneration. I feel that Mubarak is suffering in jail, don't you? This article by Ms. Barnard is typical for its flaws and fallacies. It basically is entirely and rigidly based on the claims and accounts of Syrian rebels. First, notice what she says here: "In the first raid, on Sunday, United States warplanes hit an Islamic State building, with no report of civilian casualties. 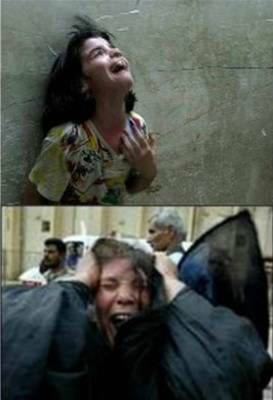 On Tuesday, Syrian jets struck 10 times, killing scores of civilians, according to residents and Islamic State videos." But US planes also kills civilians unless she also wants to believe that it does not. Furthermore, the Syrian regime basically--according to her and to her beloved Free Syrian Army goons--either does not fight ISIS or it fights ISIS and kills civilians. So what do you want exactly, but I am now confused. And there were times when Syrian rebels themselves reported that civilians were killed by US bombs but Ms. Barnard never reported on that. She then reports the whole story based claims of Syrian rebels and March 14 people who support them. Not one counter point of view in the whole article, not that it matters to her editors in the Times of course, provided that propaganda services are rendered to the "cause". But wait: she does cite one source who is not on the side of the FSA: "Supporters of Mr. Assad say". Wait: supporters of Asad? What is that? Is that a political party or a club? And when you say that "supporters of Asad say" do you mean that they all share one mouth and tongue and speak in one voice? She does mention Hizbullah and even implies that it is working with the Americans but not openly but does not report that Nasrallah said specifically that they are opposed to US war in Syria. But these are details that are not convenient to the propaganda cause. Who dominates the West Bank? Excuse me? The Times report on the terrorist Israeli army arresting people right and left in the West Bank and then inserts this sentence: "officials in the Palestinian Authority, which dominates in the West Bank ". If they truly dominate the West Bank, how could the Israeli army be allowed to roam freely? "In addition, Scotland would gain significant control over welfare spending. Scotland generally leans more to the left than England and one of the main goals of many of those who pushed for secession was to be able to spend more liberally on social programs." "Yet although IS is certainly an Islamic movement, it is neither typical nor mired in the distant past, because its roots are in Wahhabism, a form of Islam practised in Saudi Arabia that developed only in the 18th century." "A senior UN official has declined to respond to mounting warnings that the failure of his so-called Gaza Reconstruction Mechanism could lead to a breakdown of the August ceasefire that ended Israel’s 51-day massacre in the territory. Anger is growing over the fact that there has been virtually no rebuilding, a situation made worse by devastating floods that have prompted UN agencies to declare a “state of emergency.” "
Khalid Sa`id will be put on trial because his death caused embarrassment to the Mubarak family. From Basim: "Although the rebels hold the city center, their supply line to territory under their control north of Aleppo is narrowing and increasingly at risk of being cut. The secular-leaning rebels in Aleppo have been weakened by the burden of fighting a two front war – one against the Syrian Army and another against the self-styled Islamic State, which is advancing toward the city from the east. Rather than stop fighting, Mr. Assad's forces appear to be mustering along with members of the Lebanese Shiite group Hezbollah for a potential final strike against the rebels in Aleppo, according to diplomats in Beirut that asked not to be named. “The regime has more limited capabilities than I think many people understand,” says Andrew Tabler, a Syria expert at the Washington Institute. “If you look at what’s happening in the south, it’s quite a different question to what’s happening in the north.”"
"Certainly, unease and misgivings were being quietly expressed within the Shi‘i community ". You may disagree with me, but should this guy not be taught at journalism school for his pioneering methods of reporting? I mean, the man interviewed Hizbullah suspects in the Hariri assassination, although he later admitted that he was not even there although his name appeared in the byline of the article. "Perhaps nearly 1,000 fighters have been killed there, with many hundreds more wounded and crippled". I say: perhaps 1000,000,000 fighters have been killed there. Hizbullah Minister, Muhammad Fnaysh, met Nuri Al-Maliki at Beirut airport today. Why? Well, let me explain it in ego-strategic terms. It is because Maliki is...Shi`ite. You thought that the generous Saudi aid to the Sisi regime comes with no strings attached? Of course, it had to come at a price and the price also pleases the Mubarak regime apparatus which has been preserved by Sisi. I have told you repeatedly that all the Arab supporters of Israel (as few in numbers as they have been) have all been rabid anti-Semites: from Anwar Sadat to Mahmoud Abbas to the Phalanges of Lebanon to `Ali Salem of Egypt to Anis Mansur to Moroccan King Hassan II. Lebanese poet Sa`id `Aql is known (and detested by many) for expressing support for the Israeli invasion of Lebanon in 1982. Here, he expresses grotesque views against Judaism and Jews. "Oh, yeah. Like this, o justice". Henry Kissinger and "World Order"
My weekly article in Al-Akhbar: "Henry Kissinger and "World Order": Projections on the Middle East." From Nikolai: "Obama on Ferguson: "...There is never an excuse for violence." Obama on the Middle East: "Nevertheless, it is a hard fact that U.S. strikes have resulted in civilian casualties, a risk that exists in every war. And for the families of those civilians, no words or legal construct can justify their loss. For me, and those in my chain of command, those deaths will haunt us as long as we live, just as we are haunted by the civilian casualties that have occurred throughout conventional fighting in Afghanistan and Iraq. But as Commander-in-Chief, I must weigh these heartbreaking tragedies against the alternatives. To do nothing in the face of terrorist networks would invite far more civilian casualties -- not just in our cities at home and our facilities abroad, but also in the very places like Sana’a and Kabul and Mogadishu where terrorists seek a foothold. Remember that the terrorists we are after target civilians, and the death toll from their acts of terrorism against Muslims dwarfs any estimate of civilian casualties from drone strikes. So doing nothing is not an option." "In an open letter to David Cameron published by The Independent, more than 30 organisations attack the Government for accepting around 100 Syrians - despite committing to welcome many more." "11-month-old Balqis Ghawadra became the youngest prisoner in the world, after visiting her father in Eshel Israeli prison, occupied Beer Sheva." "Formerly a supporter of the Palestinian cause". He never was a supporter of the Palestinian cause, unless this Gulf regime paper considers anti-Semitism (rampant among the Maronite militias and political leader of Lebanon) a form of support for the Palestinian cause, which is not, except by the standards of the House of Saud and its clerics. ""Support for Islamic State (Isis) among Arabic-speaking social media users in Belgium, Britain, France and the US is greater than in the militant group’s heartlands of Syria and Iraq, a global analysis of over 2m Arabic-language online posts has found."" 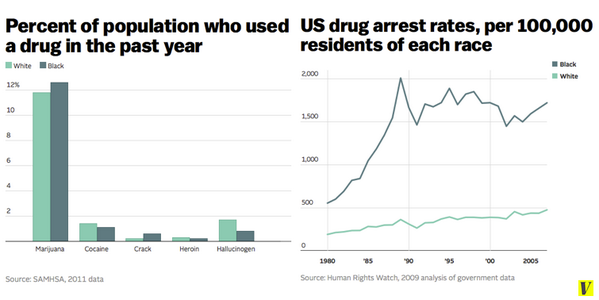 Comrade Amer: "Lebanon’s war on ‘hashish’ indistinguishable from war on the poor"
What was unusual about the Ferugson grand jury? I only recently read the dispatches of Hugh Naylor of the Washington Post. But I learned from Twitter that he, and Dexter Filkins, are fans of Fouad Ajami. That is all I need to know as I read them. I will write something about him for Al-Akhbar English. Is the US government horrified by the Israeli attack on Gaza? "Research by Dignity – the Danish Institute against Torture – shared with the Guardian, paints a devastating picture of the human consequences of the regionalism, tribalism and factionalism that have wracked the north African country since the overthrow of Muammar Gaddafi three-and-a-half years ago." "More than 100 migrant workers who went on strike in Qatar this week over low pay have been arrested and are being processed for deportation, according to their co-workers." The state of Israel does not really care about fighting anti-Semitism and it has no qualms about welcoming anti-Semites provided they give support to Israel. That was true of Sadat and true of all the Western anti-Semites (from Balfour on) who are celebrated by Israel for their support of Israel. Take Mahmoud Abbas: one week Israel remembers that he is an anti-Semite, and when he serves Israel well, his anti-Semitism is forgotten. In the next meeting of MESA, members will vote on whether members have the right to eat during MESA meetings. This may pass by a landslide. "Cabinet approves nation-state bill". This is like describing the Nuremberg Nazi laws as "nation-state laws". This silly article misses an important element: the lousy Lebanese government actually protects both, the lousy Iranian regime and the lousy Saudi regime from criticisms and attacks. So the government bans insults to both regimes--if it can. "The United Arab Emirates ambassador has been ordered to pay three former employees almost a quarter of a million euro for breaches of work rights. The Employment Appeals Tribunal accepted evidence that the women from the Philippines were forced to work 15 hours a day, seven days a week for €170 per month. The tribunal described these conditions as horrific and awarded each claimant €80,000. The ambassador did not attend the hearing but an embassy spokesperson said he would be pleading diplomatic immunity." The fact that US media refer to this bill as "controversial" is quite stunning from a propaganda point of view. This is like referring to Nuremberg Nazi laws as "controversial". Do you notice? Western Zionist media are no more bothered with anti-Semitism in the Saudi press because they are now aligned with the House of Saud. This guy maintains that "Jews are terrified" at the number of Muslims in Western countries. "A propaganda video entitled "Race Towards Good" shows Kazakh fighters undergoing physical training and practising using American, Russians and Austrian-made sniper rifles. At the end of the video, a Kazakh child recites a speech for the camera, saying, "We're going to kill you, O kuffar [unbelievers]. Insha'allah [God-willing], we will slaughter you." "
"A new analysis of the data available to the public about drone strikes, conducted by the human-rights group Reprieve, indicates that even when operators target specific individuals – the most focused effort of what Barack Obama calls “targeted killing” – they kill vastly more people than their targets, often needing to strike multiple times. Attempts to kill 41 men resulted in the deaths of an estimated 1,147 people, as of 24 November." Only when blacks in the US protest, do the US media uniformly call insistently for peace and non-violence. US forces invade and bomb around the world, and that never lead to people of the media (liberals and conservative alike) to suggest that maybe peace and non-violence would be more appropriate in US foreign policy. I guess violence and nuclear weapons are only safe in the hands of the White Man. Enjoy. It has been proven that among all area studies associations and even among the academic professional associations, MESA is the most conservative and the most establishment. It will stigmatize MESA--it should--for years to come that Asian Studies and American Studies associations were ahead of MESA in adopting BDS. There should be a serious talk among MESA members to split off from the mother organization to form a more progressive academic association for Middle East studies (there was a similar debate back in the late 1960s when AAUG was formed, by the way). There is a clear Zionist or Zionist-fearing mood and currents in MESA, or the latter mood is the strongest. It is beyond me how this organization elected as president a man who fiercely fought BDS from within the leadership of MESA. The vote yesterday was nothing to celebrate: it was a vote on the right of members to debate BDS. Hell, the US constitution of previous centuries grant that right to MESA members. Right to debate? Are you kidding me? I wait for MESA leaders to grant me the right to think and debate? That really required a vote? How insulting and how patronizing and I can't believe that this went on without a whimper. What is next? A resolution to grant members the right to obtain beverages during the conference? Don't get me wrong, MESA will eventually adopt BDS but it will be بايخة lame because it will come at the end of series of such measures by academic associations that don't even deal with the Middle East. The vote yesterday was part of various Zionist and Zionist-fearing tactics by some in MESA leadership and membership in order to delay and block the wave of BDS within MESA. There were 79 odd members yesterday who voted against the right to debate BDS. Think about that. Some in this organization don't believe that MESA members should have freedom of speech (granted by the constitution) if such freedom may harm Israeli interests. Amazing really. The fact that members allowed such a vote to proceed is basically a symptom of the internalization of internal repression, regardless whether it was intended as such by drafters and supporters. And why did MESA ban the press from covering the event? What is there to hid? It is yet another indication of the Zionist-fearing mood in this organization where many academics are too afraid to be seen or heard making a criticism of Israel or even considering the adoption of BDS. The fat that the press was banned is evidence of how much Zionist intimidation is internalized by the establishment of MESA. And yet, an Israeli diplomat snuck into the meeting (uninvited) to report to Israeli newspapers about the proceedings. Make such conferences open and allow people and Zionists in the media to watch debate, even if that makes many academics nervous because they fear that their academic advancement may be hurt by the expression of reservations about Israel and its war crimes. The summary of the story is this: MESA will adopt BDS and it will be--to its eternal shame--the last area studies association to do so, and it is the one that specializes in the Middle East. Oh, and I was informed that some yesterday were expressing alarm that if MESA were to adopt BDS some Israeli academics may not be able to obtain funding to travel to attend MESA. This concern, apparently, supersedes concern over an entire nation of natives who were uprooted and expelled by the Zionist forces. This is top news in the media of King Fahd's brother-in-law, Al-Arabiyya: "Kim Kardashian arrives in UAE, lounges and parties in Abu Dhabi". The lousy MESA resolution, apparently, supported debate on BDS. Debate? We need a resolution or a vote for the right of debate? Are you kidding me? I don't know who was behind this language or resolution, but it seems to me that Zionist watered down a move to endorse BDS by the membership. Right of debate? Oh, I never had the right of debate of BDS before MESA awarded me that right. I hear that a BDS vote passed by a landslide at MESA. There is an article in the Chronicle of Higher Education about the push for BDS within MESA. Would someone kindly or unkindly send me a copy? thanks. Wait: are Syrian activsits also combatants?? "We targeted the town with dozens of mortar shells and dozens of hell cannon shells and Nusra's forces made progress and control buildings which are in the first line of defence of Nubl," said media activist Ahmed Hamidou who was accompanying battalions involved in the campaign." I don't get the Western media obsession with Mugabe and Zimbabwe but I do maintain that there is more than a tinge of racism to their coverage. I mean, the obsession is way out of proportion to the abuses in Zimbabwe. Are Western media trying to convince her that Zimbabwe (where they are elections and opposition figures and media) is worse off than, say, Saudi Arabia, Jordan, Morocco, Algeria, Egypt, Oman, Qatar, Bahrain, UAE, and the various other places where Western government enjoy the warmest of relations? Get over it. Colonial powers were kicked out of Africa (although the US is trying to make a come back through the window). "The state security prosecutor general ordered Mr. Bani Rushaid’s arrest on charges of harming relations with a friendly country". Headline: "Israelis Confiscate Weapons Bound for East Jerusalem". Details: "Thousands of commando-style knives, swords, fireworks and small devices capable of delivering an electric shock were found hidden in two shipping containers". Only Israeli propagandists can make firecrackers seem more menacing than Israeli nuclear weapons. There is no issue that can prove the vapidness and falsehood of American liberalism than Israeli racism and their support for it. Israel was founded on racism and separation and war crimes and yet American liberals resort to fake and tricky methods to justify over and over again their support for Zionism. They resort to different methods. I have always believed that no matter what Israel does, be it nuclear weapons use, concentration camps, extermination chambers, American liberals and conservatives would not have qualms for it but some liberal Zionists may register mild complaints that such methods may corrupt the "soul" of Israel (that is the kind of Zionism espoused by Leon Wieseltier and Amos Oz among others). Look at this article. The only criticisms cited are by people who argue that racism is bad for the racists themselves, and not for the victims. My latest blog post for Al-Akhbar English: "The NYT’s unsubtle war on fairness in covering the Arab-Israeli conflict". "When Hisham Melhem of Al Arabiya News wrote this month that the real reason the administration does not hit Assad’s positions is because it would “negatively impact Iran’s posture in the negotiations” on the nuclear issue, he was voicing the views of many in the region. " Not only do Zionists love the media of Saudi princes but they also like to assume that the royal Saudi media speak for the Arab youth. Hilarious, if you ask me. Professor, this reminds of my history class where Southerners argued for slavery on the basis the slaves were better off as slaves. Racists tend to be obtuse." According to the director of Beirut Carnegie Center, the Lebanese Army will immediately liberate the Lebanese Army hostages and Palestine once a new president is elected. وفق مديرة مركز "كارنغي" في بيروت, لينا الخطيب, إن الجيش اللبناني سيحرّر الرهائن ويحرّر فلسطين ومزارع شبعا فور إنتخاب رئيس للجمهوريّة. "يُحرم الجيش اللبناني من فرصة استعادة كرامته في أرض المعركة، وهذا يعود بشكل رئيسي إلى عدم وجود رئيس للجمهورية." And I respond to your fears with glee, and only wish you more fear. You see, those global surveys are really meaningless given the language and culture differences. I will speak about the Arab world. What word was used for homosexuals? It is not as easy to translate. If they used the politically correct term of "muthliyyun", most of the people of the region would not even know what you are talking about. Global surveys are only reliable if people of the world speak the same language and grow up in the same culture. "Asali said another factor was the difficulties the group faced among Arab Americans, who are generally skeptical of the cooperation that he practiced with pro-Israel and Jewish groups". Of course, it is "not difficulty among Arab Americans" but it is outright rejection and contempt. Secondly, Arab Americans have no problems with relationship with Jewish groups, but they do have a problem with pro-Israel groups. "Raz then asked: “Are you Jewish?” When the reporter responded that he was not, she said: “You have to check the properties — if their owners say they can sell an apartment to non-Jewish people.” She added, however, that such conditions are not mentioned on the firm’s website." There is no question that the best advertisement for atheism in the Arab world are the clerics, priests, and ministers in the region. I thank them for their efforts. "Britain approved the sale of arms to Israel worth £7m in the six months before its offensive on Gaza this summer, including components for drones, combat aircraft and helicopters along with spare parts for sniper rifles, according to figures seen by The Independent. The government data will raise fresh concerns that British-made equipment was used by the Israeli military during Operation Protective Edge in Gaza in July and August, which led to more than 2,000 Palestinian deaths"
"In this video, originally posted in the Facebook group, Israelis can be seen listening to a speech in support of the “magavnik” and shouting sectarian and racist slogans including “medinat yehudim” – meaning a “state for the Jews only.” The speaker asks that “all the Arabs of Israel die to atone for him [the magavnik].” Many in the crowd answer “Amen.” "
"In the West Bank, a Palestinian home was torched on Sunday. No one was hurt in the fire, which gutted the home in the village of Khirbet Abu Falah near Ramallah, local residents said. “The settlers came here and they hit the door, but I refused to open,” said Huda Hamaiel, who owns the house. She said they then broke a terrace window and hurled a petrol bomb inside. “Death to Arabs” and another slogan calling for revenge were also painted on the walls of Hamaiel’s home, hallmarks of Jewish extremists’ so-called “price tag” attacks against Palestinian dwellings and mosques and Christian church property." The irony is that in Tunisia, a man in his late eighties, who had worked in the repressive apparatus of the Bouquiba state as head of the secret police is now rising as the representative of the youth of the revolution in Tunisia? Look at this sentence in passing: "Khateeb and Saleh have also documented several cases of sexual assault by members of the opposition Free Syrian Army, but have not publicized them for fear of retaliation in opposition-controlled areas." "The ministry identified the man as Fadel Mohammed Halawa, 32, and said he was shot by soldiers east of Jabaliya refugee camp. One of Halawa's relatives said he had been searching for songbirds, which nest in trees near the Israeli border and command high prices in Gaza markets." "Google took a risk forming an alliance with the NSA. The company’s corporate motto, “Don’t be evil,” would seem at odds with the work of a covert surveillance and cyber warfare agency." I have always said that I enjoy reading some of the people that I detest: Bernard Lewis, Efraim Karsh, Elie Kedouri, David Vital, Shlomo Avineri, Henry Kissinger, and Niall Ferguson. Yet, the new book, World Order, by Henry Kissinger, has none of the style of Kissinger. It is by far his worst book--politics aside, of course because the politics of all those people I mention is horrific. I don't want to bother you but do you remember the Syrian National Coalition? Well, the conflicts inside its leadership have been really brewing as of late but Western media are busy covering the training of "moderate Syrian rebels". 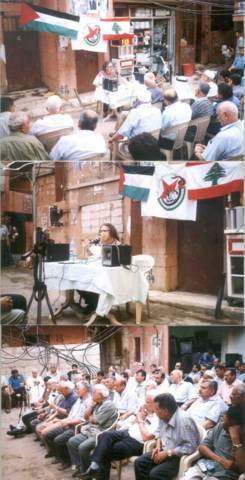 Western correspondents in Beirut don't bother with coverage of the social and political conflicts in Lebanon. They all see their mission as providing fawning coverage of the Free Syrian Army and clients of Saudi Arabia in Lebanon. Yet, this week they seem to all express excitement: they want to write articles about the fact that Walid Jumblat (one of the most corrupt politicians in Lebanon, and one of the most unprincipled by far) is tweeting. I kid you not. "For three days, Syrian rebels dug through a wall of a library that housed a trove of historical religious texts, and underneath an adjacent road. When they were done with the 50-foot-long tunnel, they waited at one end of it for a tank to drive by, and blew it up. The explosion cut off the road, a crucial supply route for government soldiers stationed at the nearby 13th century citadel, but it also destroyed what was left of the Waqifiyya Library, already damaged during months of clashes." "They have also launched homemade rockets, often inaccurate, at government forces stationed in landmark structures, frequently killing civilians. In the process, they are helping destroy Syria's history and infrastructure and, with the deaths of civilians, undermining popular support for their cause." "Every year, we celebrate the service and mourn the loss of members of the U.S. military. Meanwhile, the foreign victims of our wars go unnamed and unacknowledged. Such callous disregard for the lives of others simply cannot be justified when one considers the unequivocal fact that the United States is by far the most militarily active nation in the world." "U.S. and Israeli companies have been selling surveillance systems to Central Asian countries with records of political repression and human rights abuse, according to a new report by Privacy International. The U.K.-based watchdog charges that the American firms Verint and Netronome enable surveillance in Kazakhstan and Uzbekistan." I never hear or read the word "apostate" in Arabic discourse or debate. It seems to exist only in the Orientalist fantasy of Western writers on the Middle East. I need to write a review of Brian Whitaker's new book on atheism in the Arab world. Remind me. I read with interest the book I`tirafat Akadimi Mutaqa`id (Confessions of a Retired Academic) by my graduate school classmate and friend, Abdul-Khaliq Abdullah. Our political divergence still pains me. It seems that no one is excited about the non-election in Bahrain except the UK ambassador. People used to say that Arafat says one thing in Arabic and another thing in English although that also applies to Israeli leaders. But there is no one I know among Middle East potentates who says one thing in Arabic and another thing in English more than the King of Jordan who celebrates the new Sony Xperia phone which allows him to play on his PSIII. The royal government of Jordan arrested a leader of the Muslim Brotherhood for criticizing the UAE government. Not a word about that in the Western press. Repression in Jordan conflicts with Western media coverage of the government, which is motivated by the need to protect puppets of Israel. In a telegram to Hafidh Al-Asad on the anniversary of the "corrective movement, Oct. 14, 1997: "The memory of the glorious corrective movement formed a great marking point in the history of Syria, the country and people. We present to your excellency the most sublime verses of appreciation, and blessing for your persistent struggle which transformed Syria into a fortress of steadfastness and a symbol of Arab struggle in the face of conspiracies aiming to undermine Arab dignity and steadfastness". In April 1999, he said in a speech on the anniversary of Ba`th founding: "The Ba`th Party is in the conscience of Arabs and in the dictionary of the world...the experience with the Ba`th transformed under the Asad Syria into a journey in the world of dignity and firmness. It is a party of leadership and pioneering, party of liberation and liberty, party of independence and unity, party of socialism and equality, party of change and modernization". There is more below but I have to go. Note: the defense team in the kangaroo Hariri court will not ask Hamadi such basic questions: 1) what was your financial relationship with Rafiq Hariri. 2) how do you explain the statements below in praise of the Syrian regime when you stand here claiming to have struggled against the Syrian regime? "إنّ ذكرى الحركة التصحيحيّة المجيدة شكّلت نقطة تحوّل عظمى في تاريخ سوريا شعباً وقطراً. نتقدّم من سيادتكم بأسمى آيات التقدير والتبريك لنضالكم الدؤوب الذي حوّل سوريا الى قلعة للصمود ورمزاً للنضال العربي في وجه المؤامرات التي تحاك للنيل من الصمود والكرامة العربيّة". "حزب البعث هو في ضمير العرب وفي قواميس العالم... التجربة مع البعث تحوّلت مع أسد سوريا الى رحلة في عالم الكرامة والعنفوان. إنّه حزب القيادة والريادة، حزب التحرّر والتحرير، حزب الاستقلال والوحدة، حزب الاشتراكيّة والمساواة، حزب التغيير والتحديث...". بأنّه مع "المقاومة الباسلة ومع كل لبنان ومع سوريا الأسد في معركة التحرير لاستعادة الجنوب والبقاع الغربي والجولان وكامل الأرض والحقوق العربيّة من خلال المسار الواحد بين بيروت ودمشق". "الرئيس الأسد قائدٌ فذّ تجمّعت فيه وتجلّت صفات الريادة والبطولة والشجاعة والحكمة وبوفاته خسر لبنان الأخ الكبير الذي رعى دائماً وحدته واستقلاله وسلمه الأهلي"." My weekly article in Al-Akhbar: "Karl Marx and the State: When the Right discusses the thought of the left". "What is most striking, though, is how much Al-Mesbar sees ISIS not as just a religious problem that has to be combated with a more inclusive Islamic narrative but as the product of all the problems ailing this region at once: underdevelopment, sectarianism, lagging education, sexual repression, lack of respect for women and lack of pluralism in all intellectual thought." Striking? This is the stuff of Saudi media (in English and Arabic) because it deflects attention from the responsibility of Gulf regime. But it is clear that Friedman has been promoting the Saudi propaganda site, Al-Mesbar, for a while now. "People will disregard Mahmoud Abbas, regardless of whether he says — what he says is right or wrong. This is not a function of it. And people who are carrying these out are people who don’t even care about Mahmoud Abbas, whether they’re on — Islamists or ultra-leftists." "Israel bombed 161 mosques in Gaza"
"According to Democratic sources in Congress, staffers from the ADL’s Washington office and the Simon Wiesenthal Center rejected the amendment on the grounds that right-wing Ukrainian parties like Svoboda with documented records of racist extremism had “moderated their rhetoric.” An ADL lobbyist insisted that “the focus should be on Russia,” while the Wiesenthal Center pointed to meetings between far-right political leaders in Ukraine and the Israeli embassy as evidence that groups like Svoboda and Right Sector had shed their extremism." "At least 600 Palestinian children were arrested in Jerusalem since last June. Of these chlidren, nearly 40% were reportedly exposed to sexual abuse during arrest or investigation by the Israeli authorities, according to a report by the Palestinian Prisoners Club (PPC)." Look how they purposefully try to tarnish the reputation of anti-Zionist groups and individuals by deceptively pretending that hostility to Zionist groups is the same as hostility to Jews: "The organization as a whole has an “anti-normalization” policy, refusing to participate in discussions with Jewish and pro-Israel student groups. " They don't mention that many activists in the SJP movement are Jews. And where did the paper get the impression that anti-normalization groups are opposed to Jewish groups? The whole article deliberately slips in bogus claims of "anti-Jewish" without any substantiation. CORRECTION: This Palestinian girl is going to school with a ladder on her back: and you think that the Palestinians won't exact revenge for Zionist cruelty? PS It was explained to me that this picture isn't real but was artistically rendered to present the agony of the Palestinian under occupation and under siege. Did Jumblat just call me an "old communist"? "his grandfather, Gustav Landauer, was a political anarchist leader who was killed by right-wing opponents in 1919." 14 Oct Israeli settlers set Mosque in Aqraba on fire". 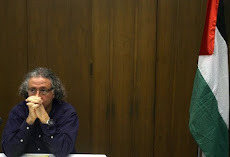 "The Judge of Urgent Matters in Beirut, Nadim Zwein, issued an order (from his home) Wednesday, compelling Al-Akhbar to remove a report on the ‘AUB Leaks’ scandal titled, “Will allegations of corruption at AUB go to US courts?” published on November 14, 2014, and all documents linked to in the story from the newspaper’s website. Who can better judge the knowledge and erudition of Walid Jumblat, the Lebanese traditional sectarian leader known for his political shifts? "“He’s a very learned guy, he reads a lot...said Nicholas Blanford". Hilarious. This is like having Sa`d Hariri give an opinion about Hegel. Hind Shufani just released a film about her father, the academic and decent Fath struggler (who later broke with `Arafat), Elias Shufani. 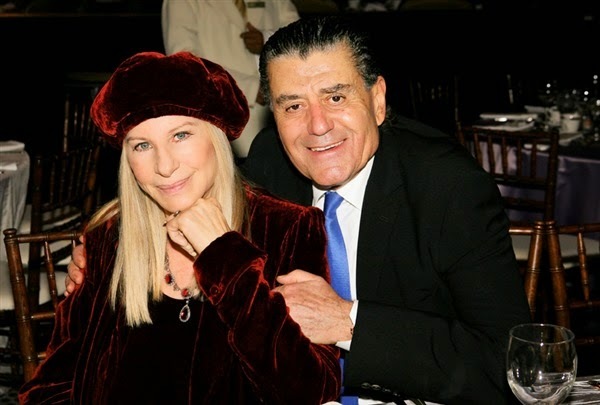 From Khelil: "I was reading about the 'Friends of the IDF' fundraiser in Los Angeles hosted by Haim Saban and how, among other Hollywood liberals, Barbra Streisand attended. 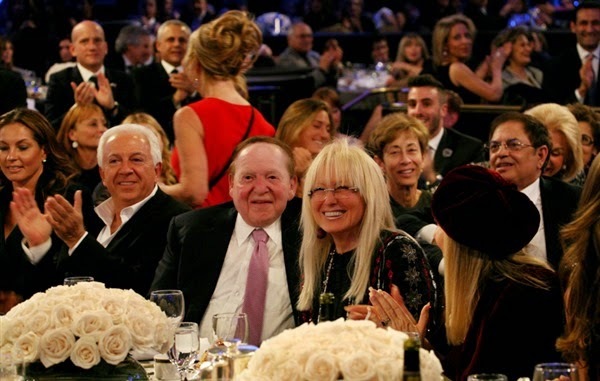 Her attendance did not surprise me, of course, but looking through the photos I thought I spotted her sitting next to Sheldon Adelson and his wife (a fact confirmed in the second photo - her outfit); when it comes to Israel, Hollywood liberals will openly embrace a far-right, anti-union, casino mogul, and top GOP fundraiser nut to the right of Netanyahu who has publicly called for dropping a nuke in the Iranian desert as a "lesson." There is no ideological division that American Zionist liberals will not overcome, no matter how repugnant and how much an enemy on every domestic cause the other person is, so as to hug together over Israel. " "The government claimed that she failed to disclose that she had been convicted by the Israelis of participating in bombings in 1969. This conviction in a military court was the result of a false confession made after she was viciously tortured and raped by Israeli military authorities for weeks. There is no due process in Israeli military courts, which "convict" over 99% of Palestinians who come before them, and "evidence" from these should not be accepted in a court in the US." "So why is the Middle East such a draw? My own guess is U.S. domestic politics. The large number of born-again evangelical Christians in the United States care deeply, theologically even, both for the fate of Israel and for the struggle against terrorism, which is easily elided into a clash of civilizations with Islam." "Almost 36 million people are living as slaves across the globe, according to a human rights group, and an index released on Monday lists Mauritania, Uzbekistan, Haiti, Qatar and India as the nations where modern-day slavery is most prevalent". "One of the family members, Tamir al-Shaludi, said Israeli forces stole over 80,000 shekels ($20,800) from one of the fifth floor apartments during the demolition. The demolition, which took place overnight, is one of at least six orders issued by the Israeli government to destroy the homes of the families' of Palestinians who attacked Israelis." "In Kufr Aqab, a Jerusalem-area town, a group of Israeli settlers stabbed 22-year-old Fadi Jalal Radwan on Tuesday evening. As reported by the Bethlehem-based Ma’an News Agency, Radwan was “attacked and stabbed by four Israelis while walking in the town of Kufr Aqab, his father said. He was stabbed three times in the legs, and once in the back.” Elsewhere, Ibrahim Mahmoud, sixteen years old, was put in the intensive care unit after an Israeli settler shot him with live ammunition “on the outskirts of the Beitin village east of Ramallah,” according to Ma’an. In another incident, Israeli settlers attacked a Palestinian school in the village of Urif, eight miles south of Nablus." 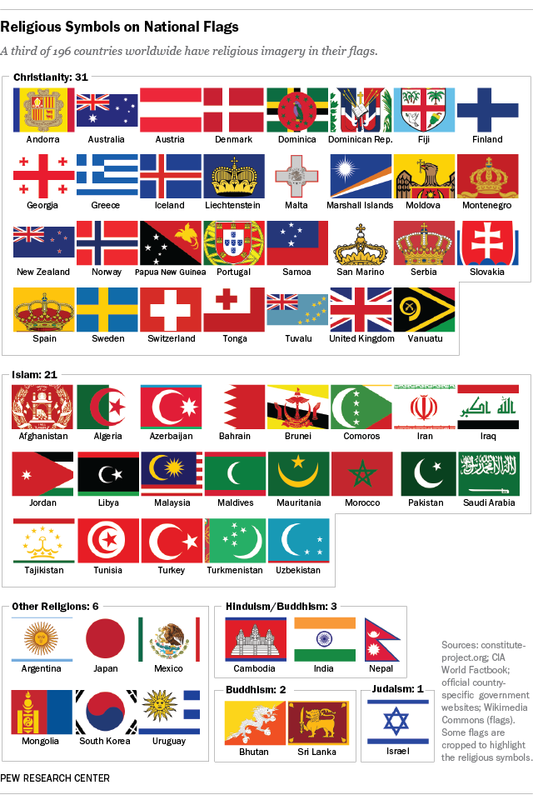 "Democratic countries define themselves as belonging to all their citizens, not just some of them. Israel is headed in the opposite direction with its Basic Law on Israel as nation-state of the Jews." When Walid Jumblat, in one of his many phases, said that he was inspired by Bush's invasion of Iraq. It was cited all over Western media, as if Jumblat is a spokesperson of the Arab youth. I noticed that when Jumblat speaks against wishes of Western governments, he is ignored. Like yesterday when he supported the attack on a synagogue. Do you remember those who wrote back in 2012 that the Syrian rebels are not as was alleged Salafite and religious but are a combination of whiskey drinkers and Sufis? I remember.